“Fantastic Beasts: The Crimes of Grindelwald” leaves audiences spellbound with its connections to “Harry Potter” canon, but it fails to impress with the lackluster, titular character of Grindelwald. “Fantastic Beasts: The Crimes of Grindelwald,” the sequel to the 2016 film “Fantastic Beasts and Where to Find Them,” takes place four years after the first movie, amidst growing concerns regarding Gellert Grindelwald (Johnny Depp). Grindelwald is a wizard who encourages the uprising of pureblood wizards and the strict oppression of non-magic beings. 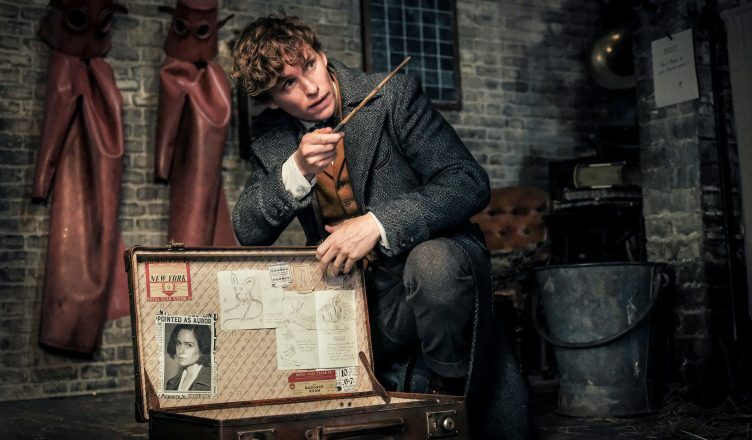 The film is rife with surprises and spoilers, but the general plot revolves around Newt Scamander (Eddie Redmayne), a “magizoologist” who cares for magical creatures and travels to Paris under orders from Albus Dumbledore (Jude Law) in an attempt to thwart Grindelwald’s plan. What initially begins as an investigative quest soon turns into a race against time to uncover lineages and secrets of the past, upon which the future relies. This film is enjoyable on multiple levels and was altogether a rare instance where the sequel is much stronger than its predecessor. Most importantly, this film succeeded where the first film failed by including a deeper investment in the original “Harry Potter” canon and world. While the first film in the “Fantastic Beasts” franchise included elements of magic, fans were largely disappointed by its lack of connectivity to the “Harry Potter” universe. However, this is not the case at all with “The Crimes of Grindelwald,” as fresh faces with familiar names begin to emerge, forming a much richer plot with the effect of a more complex film overall. Another factor that added significant value to the film was how it multi-dimensionally developed its main characters. Rather than playing it safe and sticking to basic outlines for each character, ulterior motives and elements of the past influence each character to develop more naturally than in the first film. Particularly pleasing were flashback scenes from the lives of individual characters throughout the film, which added a level of depth and accuracy to characters that “Harry Potter” fans will recognize and appreciate. In doing so, the film reaches far darker places than its previous film, including gruesome implications regarding young children, which I note here as a trigger warning. These instances are, unfortunately, necessary to the plot. However, apart from these moments, each character in the film is handled in a safe and satisfying manner. Grindelwald is a highly-anticipated character, as he is only briefly introduced in the previous movie. However, the character of Grindelwald fails for multiple reasons, the first and most obvious being the controversy surrounding J.K. Rowling’s decision to represent the character with Johnny Depp, an alleged domestic abuser. However, even disregarding these allegations, the choice to cast Depp in such a role was poor and misguided. He comes across as a flat, unemotional, and unbelievable villain, with a lack of any dimension or passion. There seems to be no motive behind his actions. Of course, this impression may be attributed to bad writing, a desire to portray Grindelwald as a sociopathic character, or the effort to preserve mystery around a character in what appears to be an ongoing series. However, the character does not indicate that he is nuanced in any of these facets. Depp’s offensively mediocre performance, combined with the film’s adamant decision to choose such a controversial actor amidst public disapproval, reflects poorly on the management of the film as a whole. “Fantastic Beasts: The Crimes of Grindelwald” impresses audiences by outshining its first film. The main characters are more fully developed and cleverly situated. Satisfying surprises in the film’s plot and flashbacks keep audiences engaged and unprepared for the film’s final outcome. However, Depp’s portrayal of Grindelwald is disappointing and offensive to many, preventing this film from receiving an “A.” That being said, the film’s contributions to the “Harry Potter” canon and bloodlines within the wizarding world are executed beautifully. David Yates’ meticulous direction allows for the same incredible visual effects and vivid quality that one can expect from a film set in the “Harry Potter” world. It is this attention to detail and whirlwind plot that leaves audiences highly anticipative of the next film in the series.